Confession: I made these a while ago when tomatoes were in season here in Texas. I ate them so fast that I did not get a chance to photograph them. My finals are fast approaching (my grad school semesters are strange), and I was on the look out for a healthy snack that would get me through some late night studying. I remembered when I made these lovely tomato chips in Jackson Hole this past summer. They were irresistible rounds of sweet, rich, tomato goodness. If you have never had a dehydrated tomato chip before; let me give you a run down. When you dehydrate a tomato, the flavor intensifies. It makes the tomato sweet and slightly bitter. Now, if you have a dehydrator, the cooking time for you might be less (or more). I don’t mind baking tomato chips the old way though… low and slow in the oven. Just don’t forget about them! 6 Roma tomatoes, sliced thin. After you slice the tomato, remove some of the pulp with fingers. You do not have to remove all the pulp. Pre-heat oven to 200 degrees Fahrenheit. In a mixing bowl, combine sliced tomatoes with olive oil and salt. Mix to merge ingredients. Line a cookie sheet with parchment paper. Lay tomato slices in an even layer. You might need two cookie sheets. Bake at 200 degrees for 8 hours (more/less depending on oven strength) or until tomatoes are dehydrated and crispy. 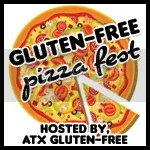 Don’t miss a recipe or ATX Gluten-Free News segment. Sign up for my RSS feed today, or follow me on Facebook and Twitter. This recipe is linked to Slightly Indulgent Tuesday. First, I love this idea, and I love the photos. Are you eating them like regular potato chips? Have you used them in other recipes? My wheels are turning with ideas on how to use these. Thanks! Yes, I eat them like regular chips. Have you made them yet? yum those look delish I LOVE sun dried tomatoes. Could you keep these in olive oil? Thank you! I would not keep these in olive oil, unless you want to use them in pasta dishes, sauces, etc. Oh my! 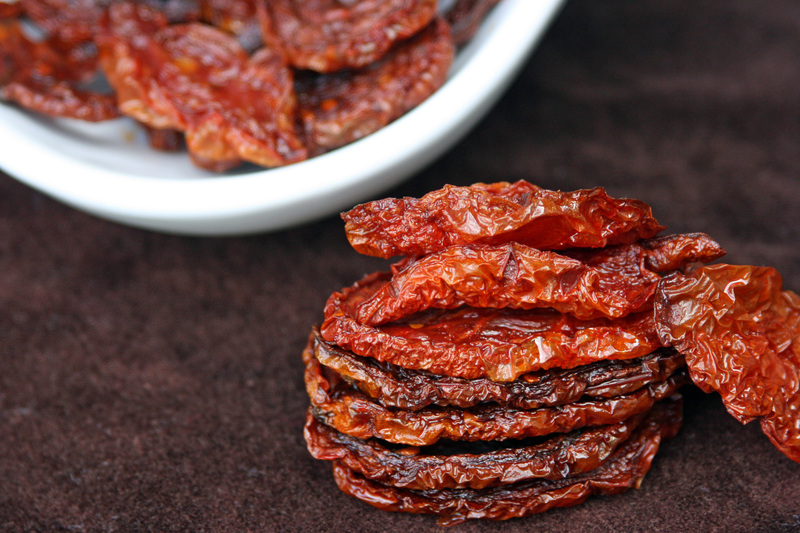 These look good – better than sundried tomatoes, seriously.